To commemorate the launching of the new postal datemark of Macao Post on 9th October, 2013, a new “Postal Datemark” postcard will be released on the same day. 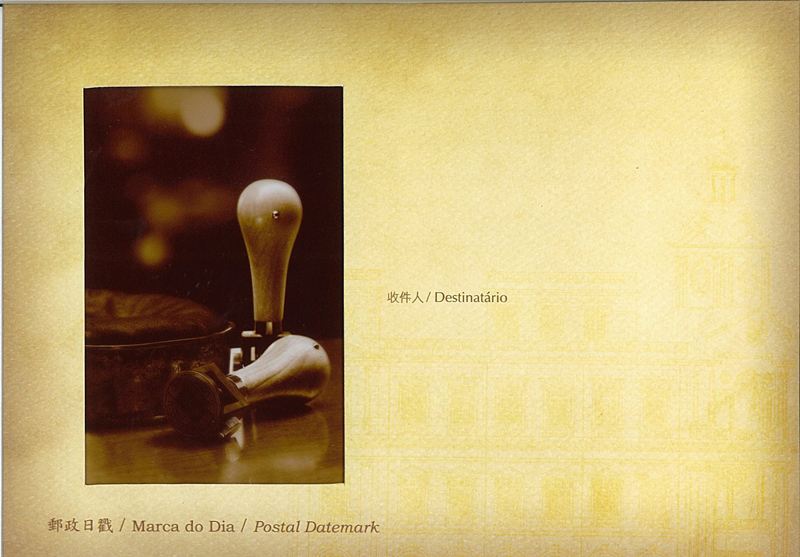 This postcard carries a perspective picture of the postal datemark as the major design concepts. The postcard will be available for sale at the Macao Post Headquarters, all post offices and postal kiosk “Ruins of St. Paul’s”, with a selling price of MOP12.00.